The Berkeley & Eleanor Mann Residential Treatment Center and School (Mann) is a 63-bed licensed residential treatment center located on our historic campus in Towson, Maryland. We serve youth ages 12-18 with severe emotional and behavioral disabilities who need a specialized educational and therapeutic environment and benefit from structured community and recreational activities. Mann provides 24-hour care in a supportive and nurturing environment. While in our care, youth attend the Mann Residential School, a full-day special and general education school that operates as a 12-month program. The youth work within a collaborative learning environment that facilitates the cognitive, social, and emotional growth of each student, ensuring that they can best meet their educational and behavioral goals. While in our care, youth are treated with compassion and respect, and we strive to teach them to take responsibility for their actions. 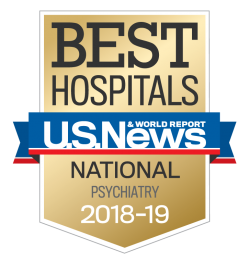 Our multi-disciplinary team of psychiatrists, psychologists, licensed clinicians, occupational therapists, nurses, teachers, and residential counselors work together to provide encouraging and individualized care in a collaborative environment. We ensure that our youth are safe, comfortable, and able to work towards meeting their behavior and educational goals. These services and activities are just a small part of the diverse programming offered at Mann. As part of the nationally-renowned Sheppard Pratt Health System, we have access to innovative training, technology, and therapies, and integrate all of these offerings into our school and residential treatment center. Given our unique, comprehensive offerings, we have residents in our program from all over Maryland. We currently have capacity for 63 residents. Residents are referred to us by the Department of Social Services, the Department of Juvenile Services, or the local Core Services Agency/families. We would love to tell you more about our program. To learn more about our program, call us at 410-938-5152.